If you're looking for a simple, hassle-free note taking tool, you've come to the right place. 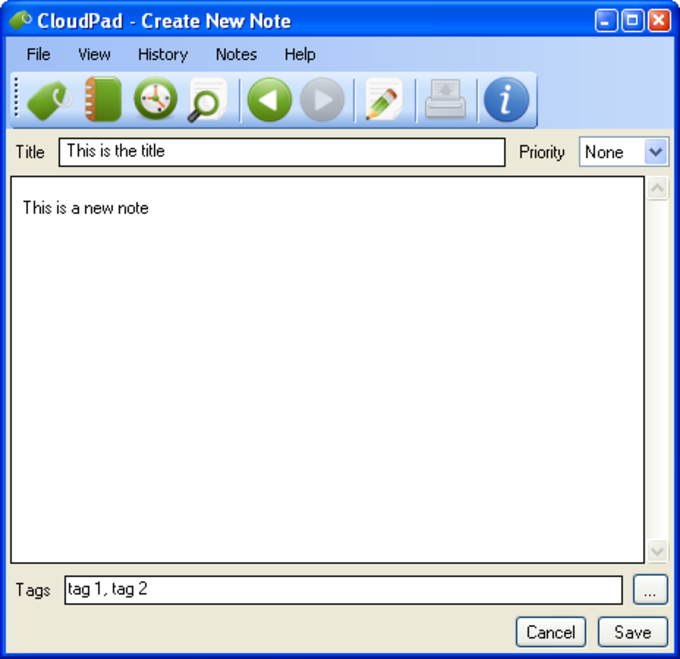 CloudPad is exactly what you need: a dead simple notepad to jot down and store all those small notes you need to write on a daily basis. 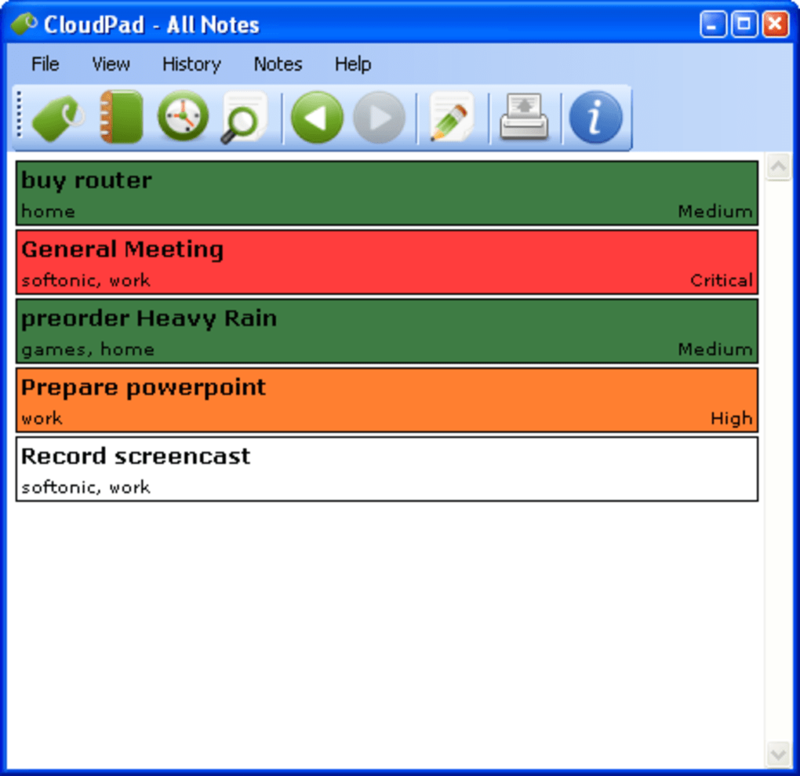 Tasks, reminders, an email address, a phone number... anything can go inside CloudPad. 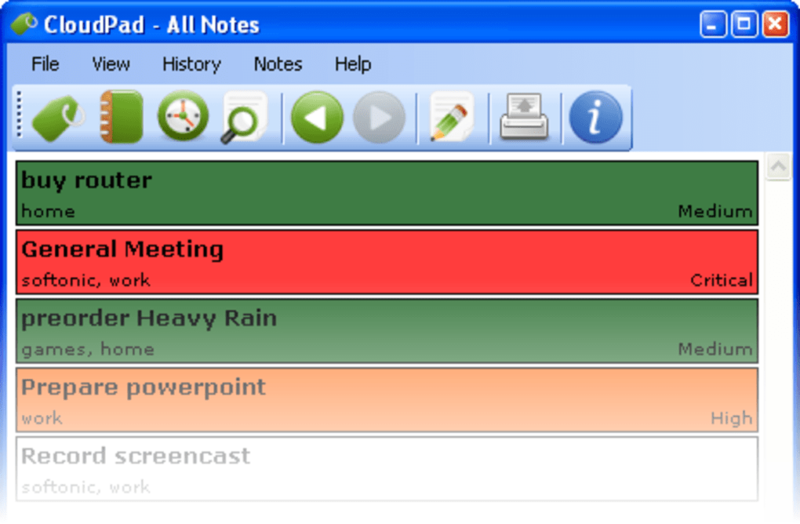 Each note in CloudPad has three different fields (title, text and tags) and also a drop-down menu to select priority. You need to fill in all fields in order to save the note. 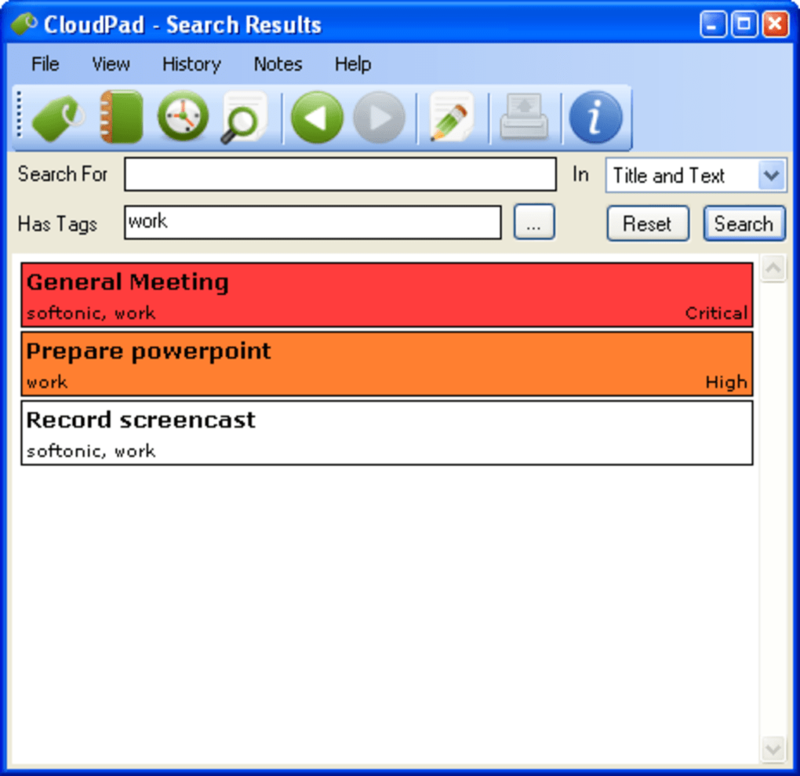 CloudPad then lets you browse notes by category or priority, or search for a specific tool using the built-in search engine. CloudPad is great for simple note taking, but more demanding users will find it a bit too basic: it doesn't support images or links, it doesn't have any export options and the interface is a bit confusing. CloudPad is the perfect note taking tool, if you don't need extra features.